Former Dell EMC sales leader tasked with growing business and investing in talent. 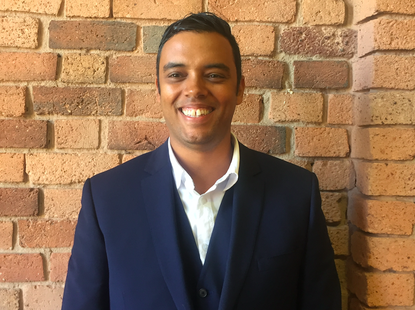 Thomas Duryea Logicalis has appointed former Dell EMC sales leader, Joe Jones, as New South Wales (NSW) state manager, as the managed services provider expands it reach across the region. In his new role, Jones will be responsible for growing the business and strengthening the company’s footprint in the market, alongside investing in new talent and doubling the size of his team in the coming months. “After the successful integration and rebranding of our two businesses, we are presented with much broader market opportunities,” Thomas Duryea Logicalis CEO, Michael Chanter, said. “The NSW region, in particular, is of significant importance with tremendous customer demand. “The timing could not be better for Joe to join our company. He has extensive sales leadership experience with Dell EMC here and overseas and is perfectly positioned to lead the NSW business. Jones joins the IT solutions provider from Dell EMC, where he held a number of sales roles since 1998. Most recently, he was a regional sales director, Dell EMC, responsible for leading a team of twelve senior account executives and an extended virtual team of over sixty sales and technical professionals. “Thomas Duryea Logicalis is a strategic partner of Dell EMC and as such I’ve already had the pleasure of working closely with the team, and an opportunity to obtain an insight into their business and culture,” Jones added. “Their unique customer-first approach is inspiring – it is all about achieving outcomes and driving value.